Hi there! We are the 2Gearteam. Our 10 years of experience in web design and constant desire to create makes us a pretty good team. Together we have more than 400 completed projects and counting. "All around great people. Fun to work with, excellent collaborators, cares about providing a seamless experience with quality outputs. Couldn't be more happy and will work with them again no doubt!" "We really liked 2Geart's design style and creativity. It is great to see them work their magic! During the review process, we often found ourselves smiling at the design in true delight. There was not a lot of revision cycle because they often hit the n..."
"Perfect! Great job thank you!!" ""People forget how fast you did a project, but they remember how well you did it" ~ Newton. We definitely won't forget how well they did! Perfection! " "Thank you for another successful project!" "Excellent collaboration! fast & furious :)"
"Fantastic job, definitely would be happy to work with them again in the future!" "Bureau 2Geart is not only creative but they have the business and project management side down as well. They are able to take an idea/brief and extract the essence to create a great design. They also often come up with ideas/designs that you didn't even..."
"Design Bureau 2Geart was a perfect fit for us. They were super reliable, always rapid in communication and are able to work in a highly efficient and effective manor with little oversight. It is like they are truly a part of your team. Love it!! " "Successful Project!! They have a super easy process for revisions that makes everything work smoothly. Great Design Partners - recommended!" "2Geart is great! They handle business with care and skill. Would highly recommend." "Great work, responsive, on time & understanding. Two Thumbs UP! " "They created a very nice design for us, were very fast, and super responsive." "Exceeded all expectation - will work with again. Would recommend to friends/fam/colleagues." "Absolutely amazing work! We turned in a short design brief with a few images and they transformed the vision into a beautiful design for our app. Very talented and doesn't require tons of direction or micromanagement at all; in other words, very proacti..."
"A job well done! Very supportive, collaborative & proactive throughout the entire process! We can only but highly recommend." "Very responsive, bright, and easy to work with! Our company really enjoys working with Design Bureau 2Geart and has been our go-to for this project/app!" "Fantastic Work. Will definitely use again!" "Very talented! We had 2Geart create another animated avatar for our app. The experience was just as equally consistent in design quality, speed, and customer service as the first time. A pleasure and we will work alongside them again. " "2Geart helped us bring our design to LIFE by applying animations to several of our emojis. It was so fun to see the finished product! Thank you!! Very happy client! " "Quick and easy process and project flow. The design turned out even better than we envisioned. Awesome Team - Thank You!! " "Our project turned out really well. Glad we found 2Geart! Great Job!" "Design Bureau created a design for our app. We provided a Design Brief and they took it and ran with it! They interpreted the Brief so well that there were barely any revisions to be made. Super bright group of designers that we had a great time working..."
"The difference between Good Designers and GREAT Designers are that good designers fix problems, while great designers Prevent problems by thinking critically and looking ahead, from different angles, for potential issues. Good designers look only at a s..."
"They are creative, critical thinkers, and demonstrate excellent customer service. We worked on a project with them for our app and our experience was that they have an excellent balance in working both independently and collaboratively while being able..."
"We are working on an app that includes several static scenes. We had 2Geart take these scenes and animate them. The final outcome was brilliant! We also included these scene animations into our marketing content and people are truly DELIGHTED by them - ..."
"Masters at Photoshop, Illustrator, and Sketch. Trustworthy people, great team - enjoyed working with them a lot. The more we worked with them the more we found them to be tech savvy creatives, personable, and super efficient. Great Project - thank you! " "Photoshop, Illustrator, and Sketch are industry standards, 2Geart utilize these tools with great ease. They are highly skilled and they also continue to take classes to continuously improve their skill set and keep up on the latest industry techniques -..."
"The project that Design Bureau 2Geart work on for us was to first designing a set of 18 custom emojis for our app. Then we had them animate each individual emoji subsequently. The project was a lot of FUN. It was a joy to watch them work their magic. Th..."
"2Geart completed animations for our app. We cannot express how pleased we are with the design, animation, and overall amazing work ethic. A joy to work with and will be working with them again!" "We needed a replica design of a University Hockey Rink for our app. The replica turned out exceptionally well. 2Geart's skill level and attention to detail is top notch. They were also very responsive and we enjoyed working with them! Highly recommend." "Bureau 2Geart are the Best designer! They are very reliable and extremely talented. Recommended if you are looking for high-end designs with a design group that has high integrity." "2Geart has a refined design process that Just Works!! It takes out all of the pain points and instead facilitates quick communication, a very easy way to annotate & submit revision requests, and update the design status, which is similar to a Kanban wor..."
"We highly recommend Design Bureau 2Geart if you are looking for a great team that works cohesively with one another and is both dependable and talented. " "2Geart is a very talented design team. They did a phenomenal job designing screens for our app, character/avatar illustrations, and animating the characters. You do not see a lot of designers on 99D that have this range of versatility while being able t..."
"Very responsive, clean design, smooth animations and perfect fit and function. Will work with again! Highly Recommended." "Great job! Fast turnaround and goes above and beyond to ensure the Design Brief/Intention will actually fit and function in the Applied Environment. Great Talent!" "2Geart have amazing designers! We are lucky to have worked with them. They are diligent, timely, respectful and incredibly talented. Thank you for a great experience 2Geart!" "What we really valued and appreciated about 2Geart was how they really think about the design from different angles. They don't just mindlessly design what you ask, they take in the design and think about from different aspects while looking for ways to..."
"We decided to work with Design Bureau 2Geart on several isometric designs for our app. We were not disappointed; they did an excellent job! They definitely go the extra mile for you and we loved working with them as if they were a part of our team. 100%..."
"2Geart has a solid design process. We wish all designers had such a seamless and easy flow, making the project execution quite efficient for all involved. They completed all requirements outlined in the design brief with quality and focus. The project w..."
"We had 2Geart work on an customized avatar for us that turned our brilliantly. When we showcased the design, we received very positive feedback; everyone was delighted by the design and attention to detail. Enjoyable experience and we will work with the..."
"The process was very smooth. Looking forward working together again! " "We had several time-sensitive design projects that needed to meet the needs of our app development team and Design Bureau 2Geart was able to turn the designs around in a timely manner to keep our developers moving along nicely. We really appreciate and ..."
"We worked with Design Bureau 2Geart to create the animation for the avatars in our app. They have done an exceptional job with the animation, always met our timelines for completion, and even submitted a micro project before we agreed to the project, ju..."
"We had an avatar created based off of a real person. We have worked with Design Bureau in the past and chose to work with them again on this project due to their continued consistency in completing quality design work, having a professional, can-do atti..."
"Both critical AND creative thinkers. They bring fresh ideas to the table to make the your design even better than the original idea. Collaboration like this is what makes for exceptional design outcomes! " "We needed gif animation for our app and Design Bureau 2Geart exceeded all expectations. They provided such quality outputs that we decided to work with them again for additional animation projects. PERFECTION!! Five Star Design & Animation!! " "Once again, a job well done! Design Bureau 2Geart are very supportive, collaborative, and proactive! We have a great experience every time we work with them. They are quickly becoming our go-to designers for new projects. Excellent Work!! " "Another great job! Very easy to work with! And we really value and appreciate their incorporate of InDesign into their design process. It make it so fast and easy to provide feedback for revisions. " "Very Impressed - Highly Recommend!! Keep up the great work 2Geart!! " "You are the BEST!! A true joy to work with! :) "
"Extremely talented group of designers! We came away impressed and very happy with the design work. :) "
"We were Highly impressed with their design work - top notch! They were also quick to turn around revision request and we received the exact result our team was aiming for. Highly recommend! " "They are true professionals and have a great design process in place that makes it super easy to communicate revision requests that set them apart from other designers. They delivered everything as expected and then some." "So happy with the final outcome! Excellent work!" "Our team has worked with several designers, and Design Bureau 2Geart is by far the best we have seen! Their designs are first class; they are very detail oriented and actually think outside the box and and go above and beyond to add special touches tha..."
"They are not only excellent designers, have timely delivery, and a high level of communication, but also a lot of fun to work with. Such a GREAT experience! " "Great work. All changes where done very promptly. I will definitely work with them again in the future!! :) "
"Wow, we were SO impressed and pleased with the outcome of this design!! Design Bureau 2Geart is quite brilliant & innovative. They will not disappoint you with their creativity, professionalism, and flexibility! AMAZING! Thank you and Great Work!! " "They are very experienced designers that understand the client`s needs. They are able to adapt quickly and suggest additional ideas that really make the design pop or cause the design to be even more refined and evolved. Looking forward to work with the..."
"The designs outcomes are beautiful, fun, and creative to truly delight our users. The communication was great throughout the entire project; We love the final product and will be working with 2Geart again in the future. Highly Recommend!" "They are very prompt in delivering files and accommodating design revisions. Highly recommended for complex app design!! " "Excellent Work! Great Speed! Continuous Communication! Brilliant Design!! :)"
"Best experience I've had on 99designs - fantastic work!" "Excellent work done by designer. Highly recommended." "Always does an outstanding job with communication along the way! Very pleased with their high caliber talent! :) "
"The Design Bureau 2Geart is highly skilled and very detail oriented. It is a true pleasure to work with them!! The very first concept that was submitted showed amazing thought behind each detail. It is always a joy to work with great people! " "Quality work every time! Looking forward to the next project!" "Great job!! Very responsive and quick to make changes. Insightful and creative work, not to mention a joy to work with. " "We had several screens from our app that we needed to have touched up and refined. Design Burea 2Geart completed them with great efficiency. They go above and beyond to provide great work and we appreciate that! " "Design Bureau 2Geart worked tirelessly, with great focus and attention to detail, providing quality output every time! 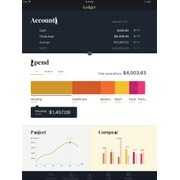 The way they think about design is unique and the their design process and feedback loops are very efficient, causing the design t..."
"After our App Design Contest ended, we decided to continue to work with Design Bureau 2Geart. We liked their professionalism, design style, enthusiasm for the project, and ability to collaborate with us on the design to come up with NEW ideas. We also g..."
"Design Bureau 2Geart makes a great design partner. This is why we chose to work with them and become a repeat client: 1.) Great work ethic and efficient with time management 2.) They turn projects around quickly AND with quality 3.) They uses InVis..."
"I found my experience with Bureau 2Geart to be exceptional. They took my brief and ran with it in a direction I didn't even know I wanted. I loved their designs, the concept they created and have commissioned them to complete my slide deck for me. Mo..."